delivers Tissot augmented reality project! The Swatch Group -Tissot recently started a contest and Augmented Reality project that previewed in one store in each of four major cities in Australia. The contest, called “Win a Watch Every Day”, combined Tissot watch products and cutting edge technology and equipment, and the project has been a huge success so far. 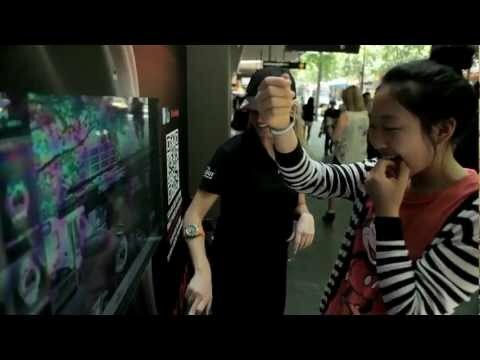 The project involved setting up the required Augmented Reality hardware and software in four stores for the contest and promotion, one store each in Sydney, Melbourne, Perth, and Brisbane. Consumers visiting the store with the Augmented Reality equipment and software can actually see a visual display of the preferred watch on their wrist. Consumers engage with the Augmented Reality display, and are amazed at how real the watch display appears. This project allows The Swatch Group – Tissot to gain brand recognition, and consumers get to see the actual product on their wrist. This can help influence consumer buying decisions and increase company recognition, and individuals are thrilled to take part in the innovative display. The Swatch Group – Tissot “Win A Watch Every Day” contest and Augmented Reality project is a new and innovative type of marketing campaign, and this project showed the excitement that advanced technology can generate in advertising. During the project consumers could not say enough about the products and the augmented reality display both. is a company that specialises in interactive displays and cutting edge technology, and we can help you with Interactive and Augmented Reality products that will take your advertising and marketing campaign to the highest level. We can substantially increase your revenue and brand recognition. Ladesha Dromgool, of The Swatch Group Australia said “ has delivered exceptional and thorough service throughout the entire Tissot Augmented Reality campaign. We look forward to working with them in the future on projects that exemplify the Tissot innovative spirit”. Want to create a frenzy at your next product launch? Contact us, we’ll show you how to do it.